Tank is making its debut on the professional tours this week and Callaway staffer Nicolas Colsaerts has already put one in play for the WGC Cadillac Championship at Doral. Stay tuned to THP for more information, including an in-depth review, on the Odyssey Tank. I really liked the feel of this when I had the chance to roll it recently! The weighting in the head seemed to promote a smooth stroke. Will be curious to see what kind of shafted options they put out when all is said and done. Straight & CS – yes please! Interested to see how Colsaerts gets on with it. 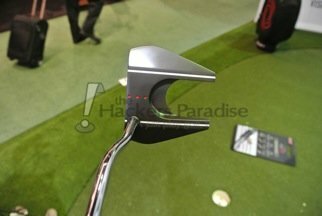 I like heavier putters, I need to get to a store and give this a roll. Nice preview Hawk, thanks. Love the #7 style, and actually enjoyed a super weight putter once for a while. This should be quite a mashup of Odyssey tech. Can’t wait to try one. I saw on twitter that NC had put it in the bag. If he can get his putting down this guy will be lethal. Needless to say, I must try this weapon of his! Great write-up Hawk! heavier head and shaft. Interesting idea to keep the hands more stable. I need to roll one of these. 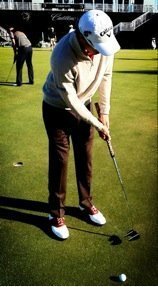 The weight of the putter makes it very easy to stroke the ball. There really is to forcing the putter. Not the type of putter head I usually like but the technology is certainly there to get the benefits. I personally don’t like the larger heads but know a lot of players that prefer them that way. I like the looks of this alot…need to roll one soon. It is my experience that heavy putter heads can result in distance control issues. 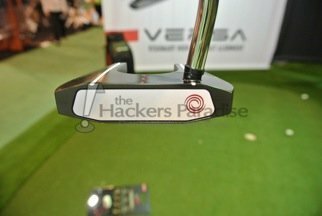 How does this putter measure up when lag putting. Sorry for my ignorance, but is this commonly known as the Series #7? No left hand availability? What year is this?